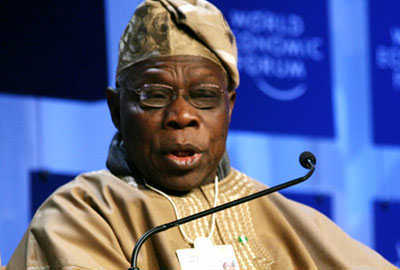 FORMER President, Chief Olusegun Obasanjo, yesterday, reviewed criticisms that greeted his leadership style when he was president, saying all mistakes his critics claimed he made were “successful mistakes.”Many Nigerians, especially people from the South West, had severally scored his eight-year rule low, particularly for turning his back on the zone. Chief Obasanjo, who was in Ibadan at the lecture marking the 50th anniversary of Aare Afe Babalola’s qualification as a legal practitioner listed his achievements, travails in prison and handing over power to a civilian government, and concluded that if his critics saw those achievements as mistakes, so be it. The ex-president further stated there are many Nigerians, but there are not many good Nigerians. Part of achievements he claimed he recorded includes ending the civil war which threatened the corporate existence of this country and drawing up a successful programme for smooth transition. He added that having spent over three years in prison, he was persuaded to become the President of this country. While delivering his lecture entitled,’The future of Law in Nigeria’, the former chairman of Independent Corrupt Practices and other Related Offences Commission, Justice Emmanuel Ayoola (rtd), said: “We delude ourselves in this country if we believe that we can be a great nation without a great legal system. Governor Abiola Ajimobi, at the occasion, called on Chief Afe Babalola to make his philanthropic gesture felt in Oyo State. Present at the ceremony were President Goodluck Jonathan who was represented by the Solicitor General of the Federation, Abdulahi Gulak; Governors Abiola Ajimobi (Oyo), Dr. Kayode Fayemi (Ekiti), Dr. Olusegn Mimiko (Ondo), representative of Ogbeni Rauf Aregbesola (Osun); former Ekiti State governor, Chief Segun Oni; Justice Emmanuel Olayinka Ayoola (rtd), Chief (Mrs.)Folake Solanke (SAN), Prince Bola Ajibola (SAN), Chief Akin Olujimi (SAN), Chief Wole Olanipekun (SAN), Prince Lateef Fagbemi (SAN), Alhaji Lasun Salami (SAN) and a business tycoon, Mr. Jimoh Ibrahim. Also in attendance at the ceremony traditional rulers including the Alaafin of Oyo, Oba Lamidi Olayiwola Adeyemi, the Olugbo of Ugboland, Oba Frederick Obateru Akinruntan, among others. Two books, ‘Current Legal issues in contemporary Nigeria,’ and ‘Source of a Legal Icon’ were launched at the event.